The Supreme Court has observed that, while convicting accused by altering charge from Section 149 IPC to Section 34 IPC, their 'common intention' should be proved. Eleven accused were convicted by the Trial Court for committing murder of one lady. In the appeal filed by the accused, the High Court acquitted eight persons from all the charges whereas dismissed the appeal in respect of three accused persons, and upheld their conviction by taking recourse to Section 34 IPC. 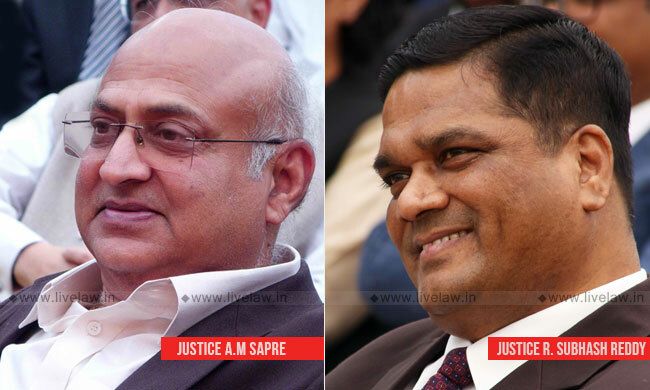 The bench comprising Justice Abhay Manohar Sapre and Justice R. Subhash Reddy considered these issues in the appeal filed by the convicts (Mala Singh vs. State of Haryana). whether the High Court was justified in altering the charge under Section 149 to one under Section 34 in relation to three accused (appellants herein) after acquitting eight co-accused from the charges of Section 302/149 IPC and then convicting the three accused (appellants herein) on the altered charges under Section 302/34 IPC? Whether there is any evidence to sustain the charge under Section 34 IPC against the three accused (appellants herein) so as to convict them for an offence under Section 302 IPC? In case the charge under Section 34 IPC is held not made out for want of evidence and further when the charge under Section 149 is already held not made out by the High Court, whether any case against three accused persons (appellants herein) is made out for their conviction and, if so, for which offence ? The bench referred to Sections 216, 386 and 464 of the Criminal Procedure Code and said that, an alteration of charge where no prejudice is caused to the accused or the prosecution is well within the powers and the jurisdiction of the Court including the Appellate Court. The court added that, it is only when any omission to frame the charge initially or till culmination of the proceedings or at the appellate stage results in failure of justice or causes prejudice, the same may result in vitiating the trial in appropriate case. "When prosecution did not set up such case at any stage of the proceedings against the appellants nor adduced any evidence against the appellants that they (three) prior to date of the incident had at any point of time shared the "common intention" and in furtherance of sharing such common intention came on the spot to eliminate Mahendro Bai and lastly, the High Court having failed to give any reasons in support of altered conviction except saying in one line that conviction is upheld under Section 302/34 IPC in place of Section 302/149 IPC, the invoking of Section 34 IPC at the appellate stage by the High Court, in our view, cannot be upheld." The bench then disposed the appeal, summing up the entire reasons, in this very long sentence (204 words). "In a case of this nature, when there is a fight between the two groups and where there are gun shots exchanged between the two groups against each other and when on evidence eight co-accused are completely let of and where the State does not pursue their plea of Section 149 IPC against the acquitted eight accused which attains finality and where the plea of Section 34 IPC is not framed against any accused and where even at the appellate stage no evidence is relied on by the prosecution to sustain the charge of Section 34 IPC qua the three accused appellants independent of eight acquitted co-accused and when out of two main accused assailants, one has died and the other is acquitted and lastly, in the absence of any reasoning given by the High Court for sustaining the conviction of the three appellants in support of alteration of the charge, we are of the considered view that the two appellants are entitled to claim the benefit of entire scenario and seek alteration of their conviction for commission of the offence punishable under Section 324 IPC simplicitor rather than to suffer conviction under Section 302/34 IPC, if not complete acquittal alike other eight co-accused."